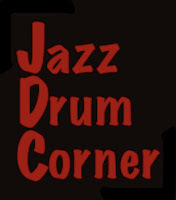 THE JAZZ DRUM CORNER: Philly Joe Jones Drum Transcription "Out of Joe's Bag"
--Decription: As the title suggests, Mobley wrote this song specifically for Philly Joe. 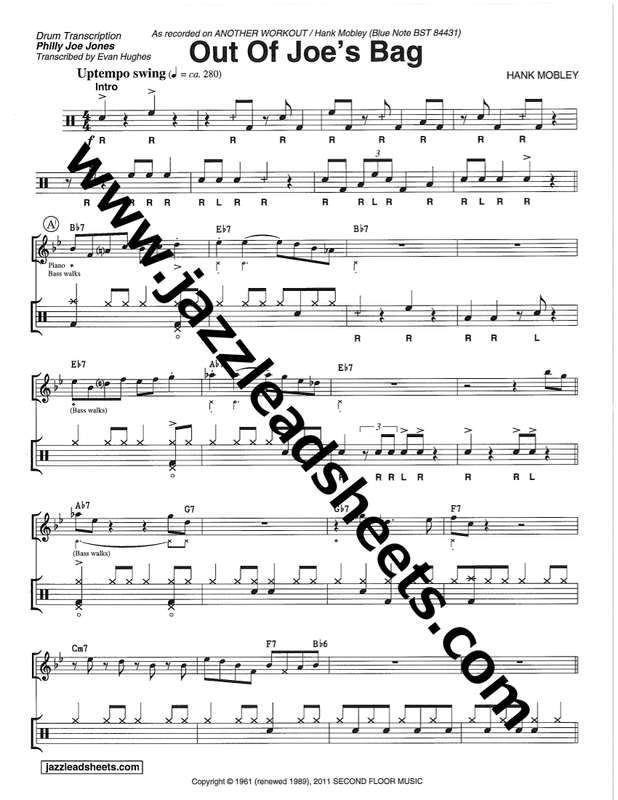 Starting first with an eight-bar drum intro, then Philly Joe's interaction with the melody, which consists of a call and response of two-bar phrases with horns, then drums. Only a drummer like Philly Joe can fill every two bars and make it feel so good. Also included is a full solo chorus over the form, which is incredibly dynamic and technically astonishing. 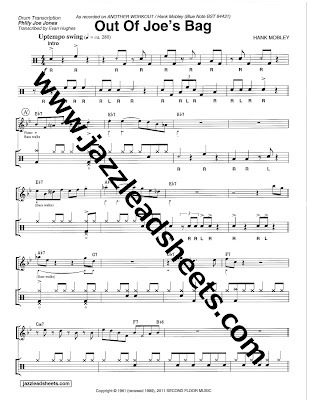 --Drum Transcription: A nine-page in-depth drum transcription of Philly Joe Jones, including his drum intro, what he plays for the in and out melodies, as well his drum solo.-- horn melodies are shown above the drum staff.